Dubbed 'the American Tolkien' by Time magazine, #1 New York Times bestselling author George R.R. Martin is a giant in the field of fantasy literature and one of the most exciting storytellers of our time. Now he delivers a rare treat for readers: a selection of his shorter works, collected into this audio collection, offering fascinating insight into his journey from young writer to award-winning master. Whether writing about werewolves, wizards, or outer space, George R.R. Martin is renowned for his versatility and expansive talent, highlighted in this dazzling collection. 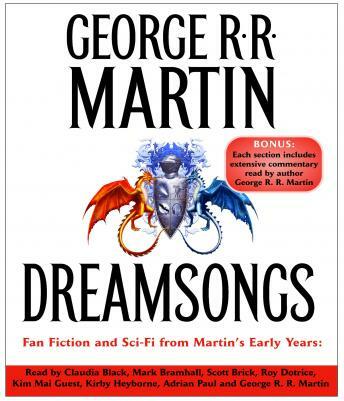 Dreamsongs: Unabridged Selections is an invaluable chronicle of a writer at the height of his creativity—and an unforgettable listening experience for fans old and new.